It's been awhile since I've spent much time with Apogee's audio gear. In my early Engadget days, I reviewed both the Jam and MiC, two portable recording accessories that turned the iPad into a tracking center for guitars, vocals and podcasts. Earlier this year, the company revealed the Groove, putting years of pro audio experience to work improving subpar headphone audio. The diminutive metal device sits comfortably between your go-to headphones and laptop, providing a massive sound boost despite being about as small as a pack of gum. So, what's the catch? Well, if you're familiar with Apogee, you know its gear isn't cheap. 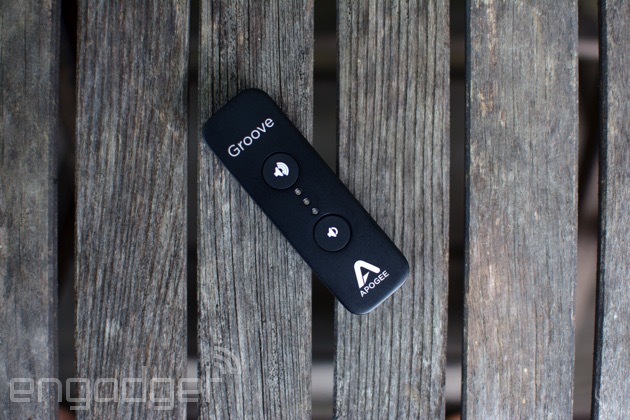 Does the Groove provide enough oomph to warrant its $300 price tag? That depends on your listening habits. You might not recognize the name Apogee, but if you ask someone with knowledge of the pro audio space, you'll find it's a company with a lot of clout. In addition to mobile recording devices, it also offers a variety of audio interfaces for tracking with both iPad and Mac alongside a stable of in-studio gear. All of which is to say: The company knows a thing or two about quality sound. 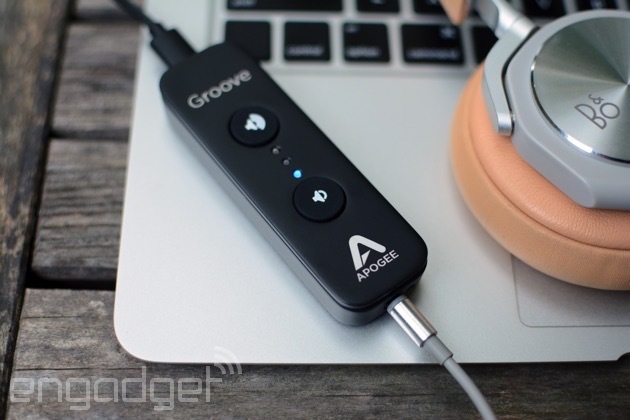 For the Groove, Apogee packed a headphone amp and digital-to-analog converter (DAC) inside a device that's the size of a lipstick tube. Inside the aluminum shell, there's ESS' Sabre DAC chip driving four of the converters per channel (four for left, four for right). The signals then come together for analog output. 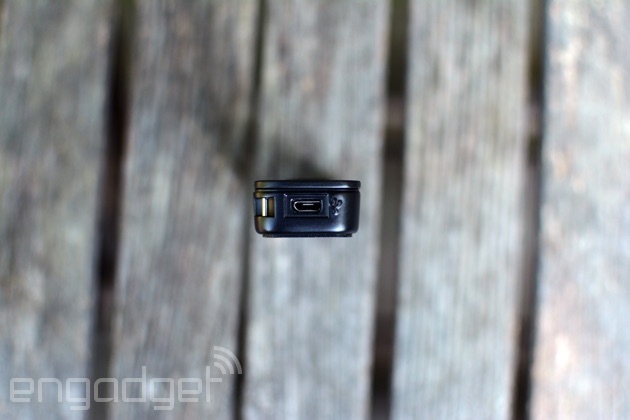 What does all that DAC talk mean? Four digital-to-analog converters on each channel to boost the dynamic range and cut out any unwanted distortion. 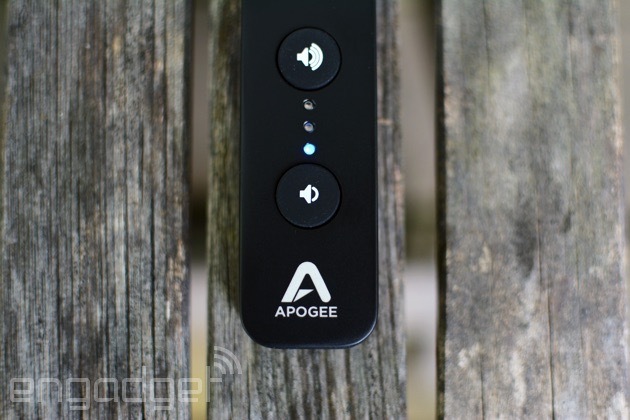 It's not a revolutionary setup, but it is a feature that Apogee says is typically found in more expensive audio gear. The result is pristine audio, and I could hear the biggest difference when listening to the bluegrass band Punch Brothers. Even when the full band was playing, the fiddle, mandolin, guitar and other instruments all stand on their own. Groove is also capable of handling high-res audio up to 24 bit/192kHz, so folks who prefer FLAC will feel right at home. And yes, you can leverage the high-quality streaming from Tidal here as well. I opted to stick with my Spotify account to access tracks, though. Due to its wired nature, the Groove is simple to set up. Once it's plugged into a USB port, all you have to do is route the audio there from your sound preferences (on a Mac) and you're good to go. Two on-board buttons and multi-color LEDs are all the controls you'll need to worry about futzing with -- save for switching between new tracks, of course. On top of showing levels during playback, when you make an adjustment on the Groove, the lights let you know exactly where things are situated. So, what about the audio? First, a bit about my headphones of choice. B&O's H6s are my favorite cans. They're light, comfy and provide crisp and clear sound. They're pretty much the perfect wired pair except for one thing: volume. The H6s just don't get loud enough even when I crank my MacBook Air up to full blast. Well, the Groove remedies that issue and lends a bit more bass, too. That EQ adjustment is handled by something Apogee calls Constant Current Drive. The tech improves the frequency response for any set of headphones you connect to the Groove. Of course, $400 headphones plus a $300 amp is a hefty investment. When it comes to Beats headphones, the popular sentiment is that they have way too much bass. Since I already had a pair of the Solo2 on-ears lying around, I wanted to see if Apogee's accessory did anything to remedy that. It did. The Constant Current Drive tech brought the other levels up to meet that heavy dose of low-end Dr. Dre's products are known for. Perhaps the most notable difference came when listening to hip-hop and house -- acts like Meek Mill and Axwell. There's still a good amount of bass, but it no longer feels overpowering, still driving rhythms on tracks like Axwell's "Center of the Universe." What the Groove couldn't do is make those headphones more comfortable. Of course, there's no way a piece of kit like this would be up to that task, just a bit of wishful thinking on my part. The Groove can get quite warm to the touch after several minutes of listening. It is housed in a metal case, after all. Heat isn't a huge issue, since the unit will likely rest on a desk or table while you're working, but it's worth mentioning. My biggest gripe is with the price. At $295, you'd have to be serious about improving what you're hearing from your computer in order to opt in. You'll want to keep in mind that the Groove not only packs a DAC and a headphone amp, but tech that alters how headphones are tuned, too. And like I've already discussed, similar amp/DAC combos that offer the same audio tweaks often cost more. If you're looking for alternatives, Audioengine offers the D3 24-bit DAC that's also sized like a thumb drive for $149 and the N22 desktop headphone amp for $200. Both are solid options if you want to spend less than you would for the Groove. The real question is if the Groove makes enough of a difference to warrant the purchase. For some, the answer will definitely be yes, but for most, chances are you can get by just fine without it. As for me, it brings my favorite headphones closer to perfection than ever before. If you aren't after high-quality audio, or you're content with your $20 earbuds, the Groove is something you should pass on. You won't be able to fully appreciate it without a pricey set of cans to match. I spend a ton of time listening with those H6s, so the audio boost is worth the cost as it improves aging headphones without forcing me to give up all the things I like about them. It takes the $300 I'd likely spend on a new set and really improves the audio quality. With a new pair, I'd probably end up with a new set of headphones and a new set of complaints.